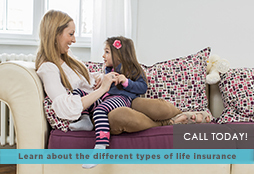 AFS Insurance Services, Inc. | How Much Life Insurance Is Enough? How much debt you have: you could decide to pay off all of your debts in full, like car loans, mortgages, credit cards, etc. Or you can elect an amount to pay off just those that make sense. Income Replacement: One of the biggest factors for life insurance is for income replacement which will be a major determinant of the size of your policy. If you are the only provider for your dependents and you bring in $40,000 a year, you will need a policy payout that is large enough to replace your income plus a little extra to guard against inflation. Just to replace your income. Consider how many years you'd like to replace in determining the amount needed. Social Security may help, but discuss this with an agent to make the right choices and needs. Future Obligations: If you want to pay for your child's college tuition you will have to add this to the amount of coverage you want which can be significant depending on the number you have and where they might attend college. Giving them some assistance would be a plus for them. *Don't forget those potential final expenses, like medical bills, funeral expense, costs to meet emergency family needs in your absence; there is a lot to consider in making the right choice. Once you determine the required face value of your insurance need, we can work up some numbers for you and the right policy option.